As a family-owned and managed business, we value our team members like part of the family. We are proud to have many employees who have been with Snell Motor Companies their entire careers and worked alongside us to grow our business in Texas over the past 40 years. 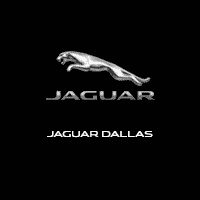 Our Jaguar Land Rover center started with one Range Rover inside Snell Buick and today Snell Motor Companies is one of the largest volumes of Land Rover sales in North America. To coordinate customer requirements for service and repair of vehicles efficiently and courteously to ensure customer satisfaction, working closely with all members of the Center team to maintain standards of quality and excellence. To provide potential customers with accurate information that allows them to appreciate and fully understand the performance, heritage and value of Jaguar vehicles in order to help the customer make an educated and well-informed purchase decision. To carry out service and repair work efficiently and to high-quality standards by maintaining and developing skill levels in all aspects of repair, service, and maintenance of Jaguar vehicles to ensure customer satisfaction. Perform work specified on maintenance and repair orders with efficiency and in accordance with dealership and/or manufacturer standards and safety.